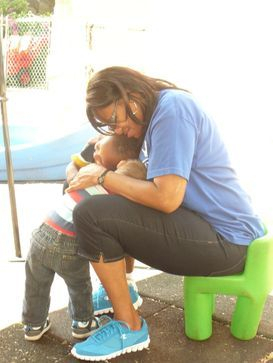 CELC is a year round childcare program that is operated by and as a ministry of Cornerstone Community Church for the past 25 years! We are centrally located on the corner of West and Mott Avenues in Norwalk, right next door to the Norwalk Public Library. Families grow here at Cornerstone! This is Maks and his mom on his first day at our center in the Infant Room! Look and see how he's grown! Hello! This is me when I was in the Toddler Program! I enjoyed learning my colors, shapes and playing out on the playground! Now look at me! 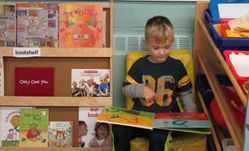 I am in the Preschool and I am getting ready for Kindergarten! I read books and work on letters, numbers and writing my name! 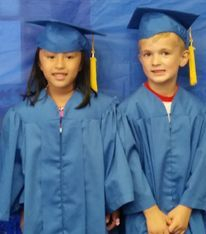 At the end of Preschool, children will participate in a graduation that takes place at Cornerstone Community Church! Maks says "Good bye Cornerstone Early Learning, I 'm off to Kindergarten and I am READY!!!"